Once you have been scheduled for surgery, someone from our Pre-Registration Department will call you to verify your insurance information. You may also receive a postcard notification by mail. Depending on the procedure you will have done, you may also receive a call from a nurse in our Pre-Admission Services Department. The nurse will ask questions about your health so that we can optimize a care plan for you. You will be required to arrive at the hospital one to two hours prior to the scheduled time of your surgery. (Call your surgeon's office with questions about arrival time.) This will give us sufficient time to prepare you for your procedure. Should you develop any illness - even a cold or flu - prior to your surgery, please notify your surgeon. Your surgeon will decide on the type of anesthesia you will be given based on your general health and the specific procedure you are undergoing. Local anesthesia is given by injection. It is generally given by the surgeon to numb a specific area. Regional anesthesia is also given by injection, but it is usually given by an anesthesia doctor or registered nurse specialist. It is used to numb an entire section of the body, such as an arm, eye, leg or everything below the waist. General anesthesia is injected through an intra-venous catheter in your arm or through a facemask. It places you in a deep state of sleep so that your body is able to tolerate a surgical procedure without adverse reaction. The drugs used to produce this state are among the most powerful in the practice of medicine. This requires that an anesthesia professional remain with you at all times during surgery in order to adjust your medications as possible. Please discuss anesthesia options with your surgeon well before surgery. 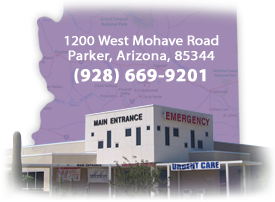 Following surgery, you may either be taken to the Post Anesthesia Care Unit (PACU) or returned to the outpatient area. Patients taken to the PACU generally remain a minimum of one hour and are then moved to the outpatient area, the short stay area or an inpatient unit. Inpatients are discharged from the hospital at 11 a.m. Inpatients must make arrangements to be driven home upon discharge. Inpatients who are less than 18 years old must have a parent or legal guardian present to be discharged. Your doctor will provide special instructions to ease your recovery. In general, you should rely on a caregiver to monitor your condition, obtain prescriptions and assist with medical devices for the first 24 hours. You should try to rest and relax. Do things slowly and in moderation. Do not drive, operate heavy machinery, drink alcohol or make complex or legal decisions for at least 24 hours. Follow the instructions you will be given for diet, exercise, medication, personal hygiene, breathing techniques and wound care.